The video or electronic LED billboards, while having been around for several years as a functional animated outdoor media format, is still in its infancy as a developing medium of video message boards for outdoor advertising. 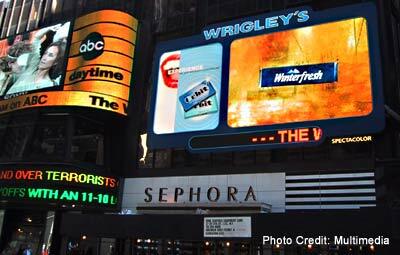 As an emerging media system, LED video billboards offer a greater flexibility of use than conventional billboards could ever provide. With high brightness, high resolution LEDS, the conventional billboard has been transformed into the perfect high-tech electronic outdoor display medium. Not only are electronic billboards full color and large format, but they also have many distinct advantages including displaying animation and in effect showing specialized television commercials outdoors. 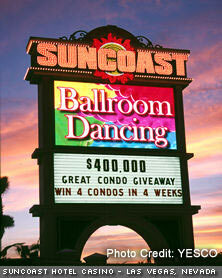 The electronic signs also act as a multiple message provider, where one sign can show a loop of continuous messages. As for changing a sign message, it's as easy as clicking with a mouse button, rather than sending out a crew to pull down and replace a billboard message. One of the best features of these electronic signs is the possibility of evolving them into a citywide or regional display-advertising network. Here, a series of connected video screens could provide everything from a broad-based advertising presence (sign messages on continuous video loops) to a very tightly controlled demographic-specific displays tailored to week morning commutes or mid-afternoon shoppers (depending on sign locations) or special weekend sales announcements presented to a Friday evening home commute. To date, LED video billboards have matured into two specific applications of use (spectaculars and roadside displays) and its third application (multiple signs as a network system) is just beginning to emerge as a viable outdoor advertising format. In its first and most expensive application, LED video billboards appeared as sign components to Times Square and Las Vegas spectaculars. In Times Square you can turn in any direction and come face-to-face with three or four LED video spectaculars all at once. Most prominent is the front (its north face) of One Times Square which is filled up with LED video billboards as are many of its surrounding Times Square buildings with equally overwhelming LED displays including NASDAQ (Smartvision), ABC NEWS (Multimedia, Rancho Cordova, California) or Lehman Brothers (Daktronics - Brookings, South Dakota). In Las Vegas, most LED billboards are attached to street side pylons which extend along the Strip upwards of one hundred feet into the air and combine backlit flex face signs with fully lit, full color LED video signs (MGM, Ballegio, Paris, Las Vegas, Bally's, etc.). The use of these signs however is very specialized as either in Times Square or Las Vegas, it's one client with one hundred per cent utilization of the sign to promote their brand identity or services rendered and that's it. The LED video billboard in its second application was developed in a scaled back form from its spectacular counterpart, and set up as a highway sign that is a 21st century counterpart to its more conventional print billboard. Granted electronic billboards are much more expensive and there are still sign code issues to be dealt with, but nevertheless electronic signs are beginning to dot the highways as a forerunner to a continuing presence of electronic and video outdoor advertising. Herewith lies the challenge to video billboards; will it be a supplement to work hand-in-hand with print as an outdoor advertising presence? Or is it more a technological wonder with a short life span that eventually defers back to conventional billboards? Or will these LED, video billboards maintain enough presence to blossom forth and create inner city and regional advertising networks not unlike a television network with its affiliate station relationships? 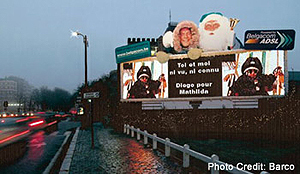 In outdoor advertising, LED video billboards are a new ballgame, a pioneering effort of setting up electronic billboard installations as a multiple location advertising system. 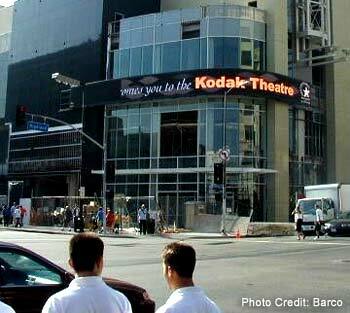 While print billboard agencies may see electronic as an upstart within their domain, LED video billboards sallies forth with the same pioneering spirit as other earlier entrepreneurs who started experimenting with the horseless carriage and the all new, all 'talking' movie pictures. The emergence of a networked LED billboard system has become a technical possibility, but is limited more by the current overall cost of a single advertising company acquiring a reasonable collection of LED video billboards to create a unified video billboard network. 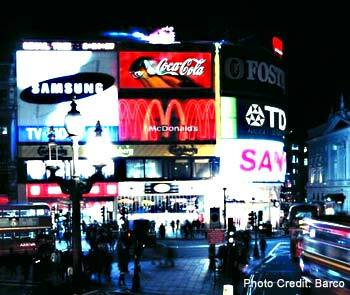 While for the most part electronic billboard networks have yet to happen in the United States to any degree, versions of these systems are beginning to take off in Canada and Europe. Several overseas advertisers have begun the embryonic formation of such networks, and with these systems in place, there is an interest in who has done what and where. Canada's first LED video-billboard network (four connected screens and more coming) created by Lightvision Media Network of Vancouver. The company's slogan says it all, "Where Television Meets Outdoors." 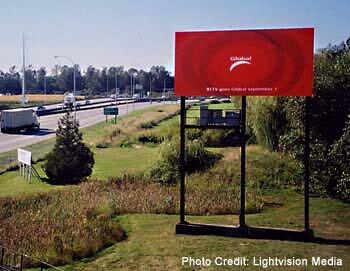 In Canada, the first LED video-billboard network has been created by Lightvision Media Network of Vancouver, a media sales company that's set to transform Outdoor TV Advertising with networked digital video billboards. The company uses Lighthouse (Cary, North Carolina) LED video screens as (330 square feet per screen) the billboard display format of choice. “The company slogan, "Where Television Meets Outdoors," says it all,” noted president Tom Sponarski. To date, Lightvision has installed four Lighthouse video screens within the Vancouver Metropolitan Area. Sponarski said, "We are looking to install four more Outdoor TV Screens in 2003". 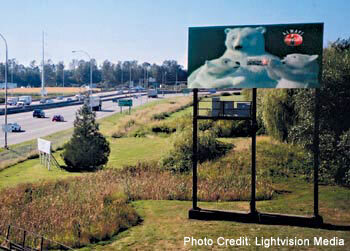 The Lightvision Media Network screens are currently located adjacent to highways connecting Vancouver. "Our prime locations are very high traffic, slow moving (road bottlenecks) spots such as a merging lanes or bridge or tunnel entrances that slows down passing vehicles. The commuter gets the opportunity to view our 90-second commercial loop. Each location averages on a daily basis about 100,000 cars passing our sign. The four signs average 500,000 viewers each day." "Most of our advertisers are national companies that are easily recognized brands. The advertisers have already spent millions of dollars on their individual commercials, which are shown on broadcast television all over North America. We take their 30 second spots and edit them to 10 or 15 seconds spots. Surprisingly, the client's message usually is stronger." "Our video spots are each about ten seconds long and we stick them in a loop that runs continuously all day long on each sign. As for display distribution, our advertisers can decide what ads are shown ranging from single video sign coverage to being shown on all four of our signs." As for their effectiveness, Sponarski said, "all our advertisers have renewed their advertising contracts for the next year." Barco, headquartered in Kortrijk, Belgium is one of the world's leading suppliers for over 20 years of high quality video projection systems and has now opened a new product line with LED billboard display systems through a brand known as Signam!cs. These Barco electronic signboards are full-color, video capable screens in a range of sizes and formats available for indoor (shopping malls) and off-road (billboards) displays. The signs are available as single unit displays for typical bus shelters right up to the billboard format, or as network-capable, multi-sign setups. Benoit Strauven, marketing manager for Barco's Signam!cs, noted that LED billboards have begun to catch interest in Europe with several Barco sign systems currently installed. 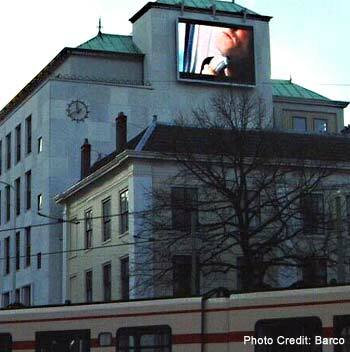 The giant Swiss media group Affichage Holding has purchased three Signam!cs LED screens for implementation in one of Switzerland's main transit points, the Bern Train Station. Two displays have been placed on its main train platform and the third, in a hallway leading to a main departure platform. 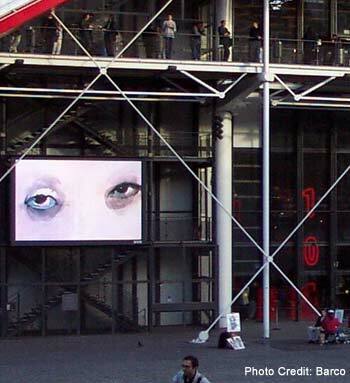 Another client, Clear Channel Adshel, headquartered in London, UK, has established two independent LED billboard systems in sites in Nantes, France (seven screens) and in Bristol-Manchester, UK (three screens). Both LED billboard networks are prominently displayed within pedestrian walkway areas of high-profile shopping malls. Strauven sees LED billboards as a strategic advertising component in allowing advertisers a powerful way to reach a potential critical mass with its targeted audiences. "These animated, electronic billboards incorporated into network sign systems enable advertisers to bring a specific message at a specific time to a specific audience. 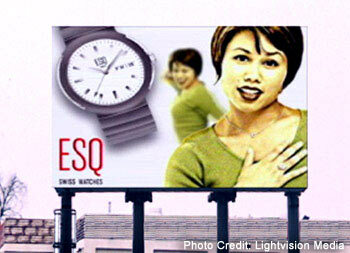 For the clients who buy 'time' on the boards, it allows them a powerful advertising opportunity of cross platform advertising by presenting television ads and enforcing that campaign in specific markets with an immediate follow up on LED billboards. Other types of content, like flash animations that come from companies' websites, are also extremely impactful. Although print billboards are the mainstay of outdoor advertising, the addition of electronic signs is just beginning to take off. Agreed they are now more expensive than print billboards and that there are also (and probably always will be) sign code issues with their installations, it's more an issue of understanding their point of development as an evolving technology. To put a mark on that would be to say LED video billboards are in their Kitty Hawk days now and as to what kind of an impact electronic billboards will have as a companion outdoor advertising system remains to be seen. Certainly, the next time you're cruising the highway, the flashing lights on the side of the road may not be smoky (police patrol), but might, as easily be a new LED signboard. As for electronic sign networks, it's a natural outgrowth of a growing population of single signs and more a matter of time as outdoor ad agencies become comfortable with electronic billboards as a niche advertising system. Louis M. Brill is a journalist and consultant for high-tech entertainment and media communications.